We offer Powder Filling Machine which consumes less power and is highly efficient.Highly Suitable for Spices, Besan, Dies, Colour, Pesticide Powder, Pharmaceutical Powder, Milk Powder, and other sticky or non-Sticky powder. 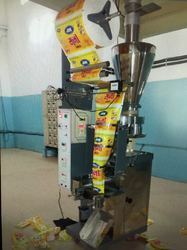 We offer Powder Filling Machine. 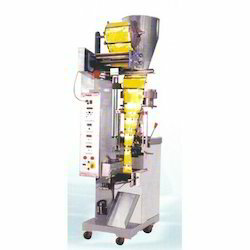 Powder Filling Machine is based on auger filling system. 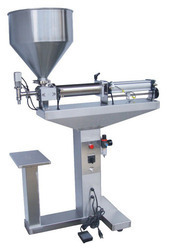 powder filling machine is mostly used for chemical, pharma, paste sides etc industries. Useful For Tea, Sugar, Salt, Pulses, Spices, ORS Powder etc. Highly suitable for spices, besan, dies, colour, pesticide powder, pharmaceutical powder, milk powder and other sticky or non sticky powder we offer Semi Automatic Powder Filling Machine. 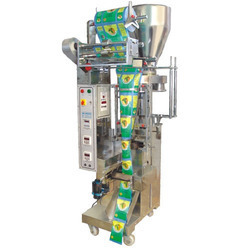 We are offering Automatic Powder Pouch Packing Machine to our clients. Avail from us, our semi automatic powder filling machines that are highly suitable for spices, besan, dies colour, pesticide powder pharmaceutical powder, milk powder, pharmaceutical powder, milk powder and other sticky or non sticky powder. These machines consume less power and are highly efficient. Capable of giving higher output to clients, our semi automatic powder filling machines have earned an edge over the similar machines in the market.